Columbus Modern Quilters: Sew-In on Saturday, January 15th! There's still time to sign up! Sew-In on Saturday, January 15th! There's still time to sign up! Is your stack of UFO's (unfinished objects) taking over your dining room? 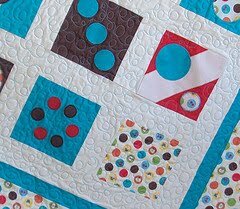 Want to get that baby quilt finished BEFORE baby arrives? Do you love to sew but can't find the time? Then come to the CMQG's FIRST Sew-in! Bring your sewing machine, personal supplies and projects! You'll have your own sewing table with electrical hookup. Multiple irons will be available to press those seams nice and crisp! Iced Tea and Coffee will be on hand but feel free to bring your own snacky-snacks and drinks too! Click HERE to sign up if you have not yet done so!